The Edelweiss Lodge and Spa is truly the peak of luxury in the Taos Ski Valley. Located on the Strawberry Hill slopes and in the main base area village, the Edelweiss is convenient to every summertime activity. The Edelweiss Lodge & Spa blends a sophisticated ambience, an array of amenities, and professional service for a first-class lodging. 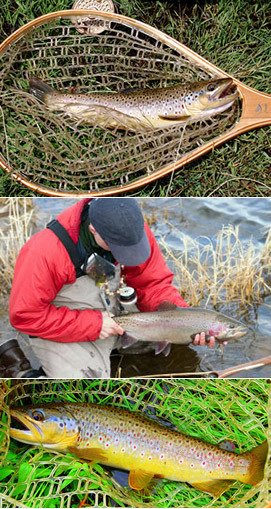 Your Wild and Scenic New Mexico Fly Fishing Adventure Begins Here.The waters are home to Rainbow, Wild Brown, Brook and native Cutthroat Trout. Join us for an adventurous fly fishing experience amongst the unsurpassed beauty of the Chama River Valley, the Enchanted Circle, the Rio Grande Gorge and the Cimarron River Canyon. When the snow starts to melt, water streams in from Colorado and the nearby Sangre de Cristo mountain to keep the waters of the mighty Rio Grande flowing. 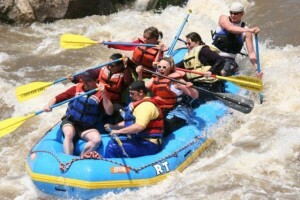 Taos area rivers provide whitewater opportunities for everyone from the first time rafter who just want to get their feet wet to adrenaline junkies who want more challenging river experiences; trips range from a few hours to a few days. Come ride gentle horses with friendly, knowledgeable guides in the Land of Enchantment. Appropriate for the whole family, there are horseback trips starting the Taos Ski Valley ranging from one hour on beautiful mountain trails to all day trips above timberline. You can even go on a llama trek in the Sangre de Cristos or into the Rio Grade Gorge areas. Mountain Skills Rock Climbing Adventures offers guided climbing and instruction for all skills levels throughout northern New Mexico- from Taos Ski Valley to the Rio Grande Gorge. If you are a first time beginner wanting to experience rock climbing New Mexico in a safe professional setting; or you’re an intermediate to expert rock climber looking to hone your skills, climb a classic New Mexico multi-pitch rock climb, beat the crowds, put up first ascents, or sport climb at your limit. The professional staff at Mountain Skills Rock Climbing Guides can take you to the perfect New Mexico rock climbing area for your ability level and give you a skill and/or memory to last a lifetime. The Taos area has some of the country’s most spectacular biking from classic road rides over mountain passes to mountain bike trails to the area’s highest peaks. There is now a recreation area dedicated to mountain biking complete shuttles as well as a number of well documented rides in the mountains with guides and shuttles available from area bike shops. Come ride your mountain bike at Taos Ski Valley’s only approved summer recreational area, and some of the best alpine mountain biking anywhere. Explore approximately 25 miles of single-track trails and old grass covered two-track roads through beautiful stands of evergreen forest, expansive groves of aspen, and grassy meadows with spectacular views, all available by private land access permit. The terrain is best suited for the intermediate and higher level rider. With their new Shuttle Service though, you can bypass the first two or three miles of climbing and enjoy more of the mountain! Gently gliding on the soft desert winds into the Gorge in the basket of a colorful hot air balloon, with the Sangre de Cristo Mountains as a backdrop, this is the premier hot air balloon flight of the state of New Mexico. From snow covered mountains in the Winter, baby coyotes and deer in the Spring, blossoming flowers, bushes and cacti in Summer to colorful Fall foliage — there is ALWAYS majestic beauty everywhere! FAA certified pilots are personable and entertaining, making even the drive to the Gorge fun. 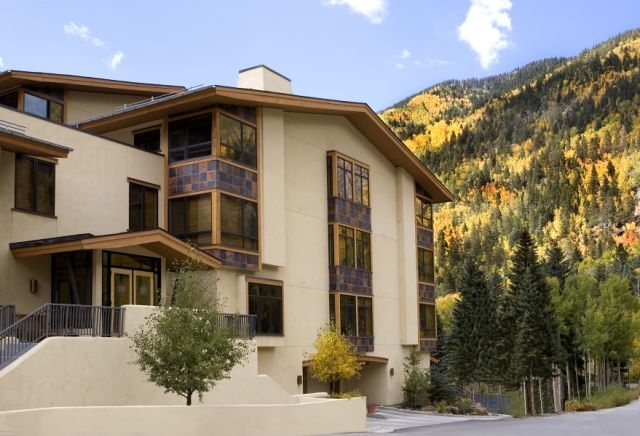 This entry was posted in Lodging, Luxury Lodging, Taos Mountain, Taos Ski Valley, Uncategorized, Vacation. Bookmark the permalink.